On this blog we've recently discussed holiday bonuses for employees, as a token of gratitude around the end of a calendar year. 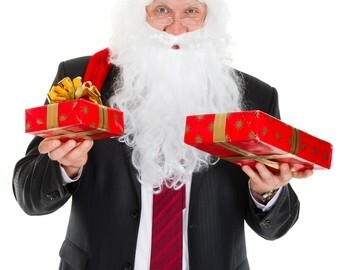 However, every entrepreneur who feels generous around the holidays may not find monetary resources to furnish bonuses for their employees, a conundrum that can be resolved by offering them additional paid time off as a gift. Especially in startups that can take years to turn their first profit, justifying the expenditure of cash to thank employees for a great year might not be feasible. At the end of a year, many industries contend with employees traveling for the holidays, rising overhead costs as cold weather settles in and a mad rush toward deadlines for the fiscal year. Cynthia Kay, the CEO of a media and production company in Grand Rapids, Michigan, found paid time off was on many of her employees' Christmas lists. "I asked one of my long-time employees what he wanted most. His answer was simple — more time to spend with family, relaxing or just doing nothing," she wrote in The Washington Post. "Funny. That's what I, along with most business owners, also want." While giving away time is, in effect, giving away money, most workplaces have infrastructure to carry slack for employees who are out sick or on vacation. For that reason, paying employees to stay home a few more days is a reconcilable hit to your bottom line. By giving professionals a couple extra long weekends or the opportunity to catch up on sleep and personal responsibilities, your holiday gift to employees may help energize them to do better work. If your budget is too stretched to cut checks for employees, think about cutting them a break, instead.